I’ve had this recipe in mind since before Christmas, but have been waiting for the right moment and the right people to test it on. It’s based on a recipe that my friend Nathalie forwarded to me, though I’ve personalized it with several other ingredients, including beets to compensate for using less sugar and to give it a richer, darker colour, as well as some coconut milk and rum for additional flavours. So much for my resolution to eat better in the new year. When my friends Daniel and Danielle invited me to Sunday dinner tonight, I knew it would be the perfect opportunity to bring this dessert. Daniel is one of the best cooks I know – each dinner party is always replete with bold, flavourful meals, good Italian wine and lots of laughs. But as he was making chicken tikka with some of his home-roasted and ground marsala spices, I knew that any accompanying dish I contributed to the evening would have to be worthy enough as a following act. Don’t be scared off by the thought of eating rice for dessert – it’s like rice pudding, but with sinful chocolatey goodness. I guarantee this will be a hit! 1. 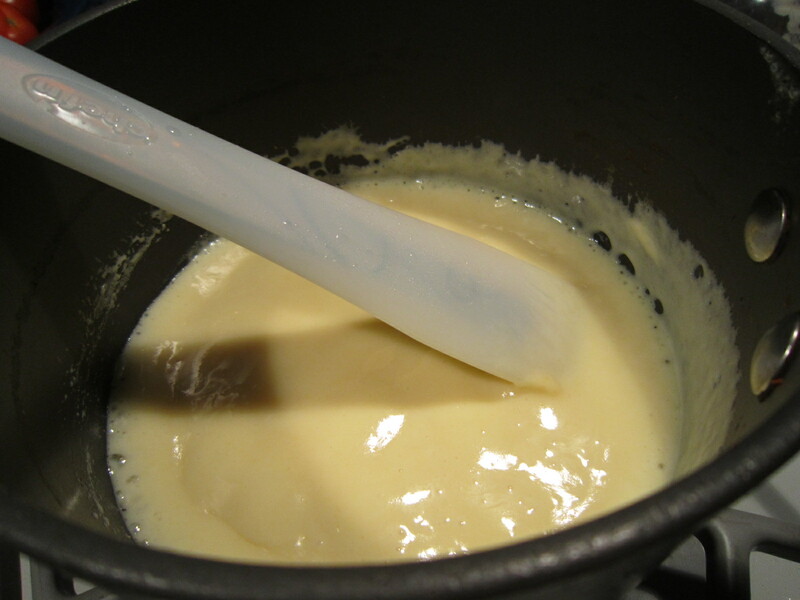 Melt 3 tbsp butter in a saucepan over medium-high heat. Add the rice and stir until it is well-coated with the butter and begins to appear slightly translucent. Add the vanilla extract, rum and water. Cook on low heat, stirring occasionally, until the liquid is almost evaporated. 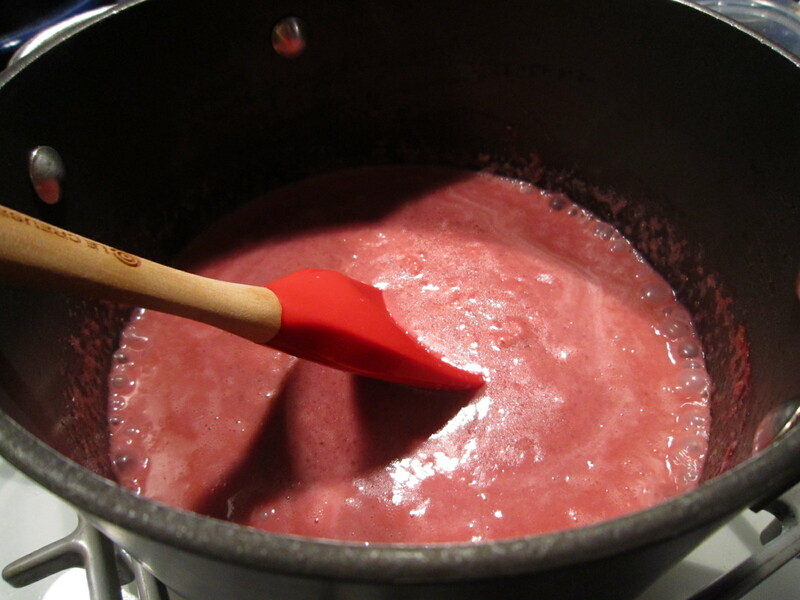 Add beat juice or puree and continue stirring until liquid has once again evaporated. Stir constantly to avoid rice sticking to bottom of saucepan. 2. Add a small amount of the coconut milk and stir until it has almost been absorbed by the rice. Continue to add the milk in small amounts, about a quarter-cup at a time, until it has all been absorbed and the rice is fully cooked. 3. In a small saucepan, melt the remaining butter and then stir in 1/4 cup white chocolate pieces, 1/4 cup creme fraiche and 1/4 cup of the coconut milk. Stir until melted and then remove from the heat. Keep stirring every few minutes to make sure it stays the same consistency. 4. Remove the pan with the risotto from the heat and stir in the remaining creme fraiche, as well as the sugar, cinnamon and orange zest. 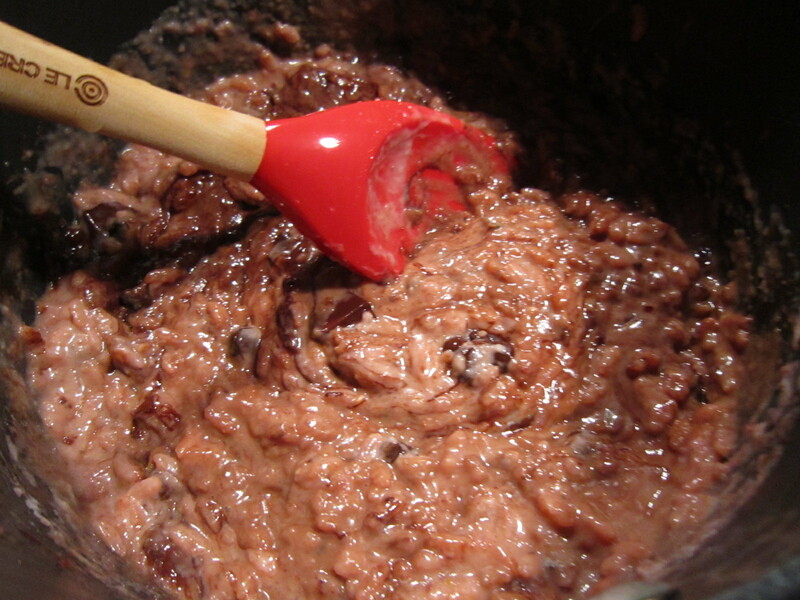 Next add the the chocolate until it is melted and incorporated into the rice and until the colour is consistent and dark. This is the exciting part, as it now begins to look like it actually could be a dessert after all. Serve immediately while still gooey and hot, garnished with mint leaves if desired, and a square of dark chocolate on top. Drizzle or swirl with the white chocolate creme fraiche mixture. 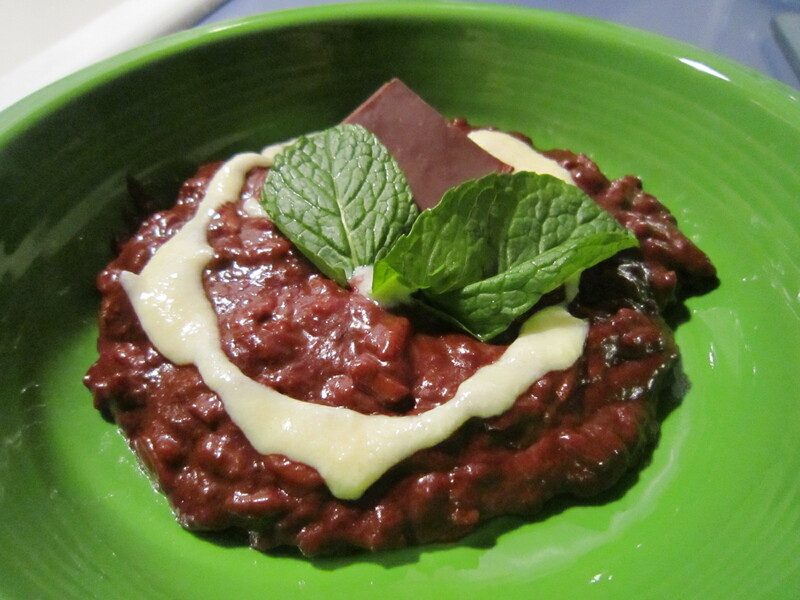 This entry was posted on Sunday, January 16th, 2011 at 10:03 pm	and tagged with arborio rice, Beets, coconut milk, dark chocolate, dessert, mint, recipe, Rice, risotto, rum, white chocolate and posted in Chocolate, Desserts. You can follow any responses to this entry through the RSS 2.0 feed. I’m off to the market to buy supplies! wow – now this I gotta make! I am obsessed with risotto! Nice post.